Comprehensive Exam Study Manual and Exam Questions We have divided the online exam material into 49 learning modules. Learning modules allow for short, concise delivery of the primary test points and concepts. Each learning module is supported by exam questions based upon the weight and difficulty the topic represents in the Series 50 exam. 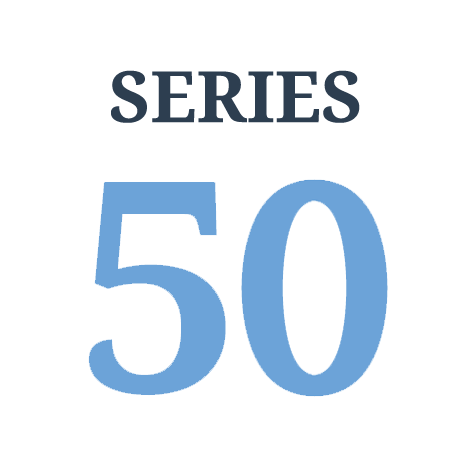 There are also four perfectly balanced Series 50 final exams at the end of the modular training program. This Study Guide and Exam Bank are essential to success. Please, consider adding the live virtual training to further strengthen understanding and comprehension Overall, there are over 1,000 exam bank questions in the self-study program. The exam modules are designed to measure your level of comprehension. After completing all the modules, you will be prompted to take the final exams. We encourage you to obtain test scores in the mid 80’s on all modular and final exams before proceeding.